Depo Racing Intercoolers are on some of the Fastest Evo X and Genesis Turbo’s made. 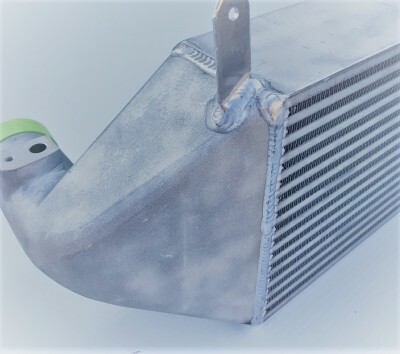 Now I have made a beast of an intercooler for the Ford Focus RS. I think I’ve proven the performance with the Focus ST and Fiesta ST. A guy running my pipe kit and Intercooler has the fastest Focus ST/RS on record, not second or third Fastest, Fastest. Last edited by depo racing; 11-02-2018 at 09:48 AM. I have the Beast on my ST. Cannot beat the bang for buck with Depo. What are they after the Trump Tarriff hits? add 25% and 6 month wait. These are $300Aus from China delivered, well done Depo at least your not paying 3x as much for someone to put their name on it. I'm interested to hear how these fit once people start ordering them. Also interested in fitment with the factory pipes. yes you can use stock pipes but at 250 for my pipe kit why would you. Umm mine are made in Taiwan, no tariffs yet , buy one from China, I don't know what to tell you. Taiwan isn't China, hmmm, funny real history tells me one is Chinese, depending on whose history you've read, kind of like me saying the Navahoe or any indigenous American tribe is a country in it's own right, well they would be if the USA treated them the same as they did Taiwan. LOL , Whether Taiwan is or isn't part of China or isn't, The Taiwanese would say no and the Chinese would say yes, isn't my axe to grind. The fact remains they tend to build better quality than mainland China. If I had time to go road tripping through China I could find some great manufacturers to make my stuff and I could save even more money, but I do not have that time. I do know my guy makes them to my specs and for the past 10 years my intercoolers have put down performance with units that cost double. Some guys like paying double, some guys don't like paying double, I'm here for the guys that don't like paying double. phez and opera_bob like this.